I allowed myself to do some promotion of your last album release on my localization - translation website, dear Simon. If you ever make a 'September Clues' sequel, you could use my latest half-assed musical diatribe on the soundtrack. Only if you wanted to mind you!? ElSushi wrote: I allowed myself to do some promotion of your last album release on my localization - translation website, dear Simon. What a lovely page, dear El Sushi - thanks for helping diffuse my social-servicing sounds ! Jaytotale, thanks for your kind offer - just been bopping around my studio to your great "Do it right" tune, btw ! Jay, I've just spent some time on your Soundcloud page, and like the first six songs of yours I've listened to - and I love Sleaford Mods! Took time last year to listen to their entire discog twice through. P.S. The images from an incident in Keighley a few years ago of a baby named Riley Turner being killed sure look psy-opped. Know anything about it? Thanks for the kind words fbenario. We don't do much these days but we try and make it count. As for Sleaford Mods, they are purveyors of misanthropy which is right up my street! As for the Riley Turner episode, it's a strange one. The mother is real and on the day the alleged killer was captured, the whole area in which he was captured was on lockdown so to speak. As for what actually happened, I'm not sure as I live up the posh end of town away from the riff raff! 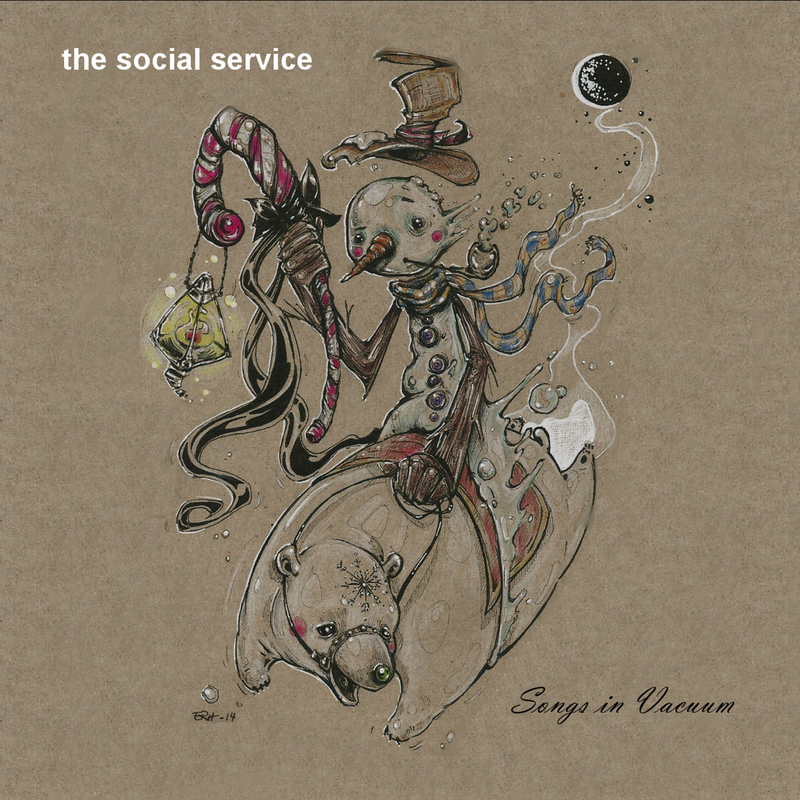 NEW album by The Social Service released TODAY! This said, however - no regrets: knowing what I know now about the music industry, I'm glad that I kept out of it - not that I ever nurtured any hopes of becoming a (gawd forbid) "rock star" of any kind !... To be sure, I'm quite content that my life's ...uh... 'greatest hits' (September Clues and this forum) will never make it to a TV audience - and much less to any "Emmy" awards or such like - and that music will always remain a pleasant & relaxing hobby / pastime for me. Nonetheless, I will now shamelessly hope that ALL of you Cluesforum readers may consider the opportunity of purchasing this new album - whether you dig it or not ( lulz ) - were it only to show your appreciation of, well, all the work and efforts I've put into this (totally un-financed /un-sponsored / budget-less) discussion forum over the years. On the other hand, if you DO dig our new album - yet have never considered clicking our little 'donut' button, perhaps you might take this opportunity to BOTH acquire some cool music AND, at the same time, show your appreciation for my longstanding research efforts (and yes, as much as I hate to 'disclose' this, I'm in pretty dire financial straits right now - due to various circumstances I will spare you the details of). The Bandcamp music site allows anyone to buy an album at its stated, minimum price (or more) - and by downloading the tunes you'll get them in full audio quality - as opposed to the low-res quality of the Bandcamp online player. Please note that our very own Hoi Polloi makes a 'cameo appearance' in the song called "BY THE BALLS" - with words / text written by himself! Come on folks, please make us happy (my band and yours truly) and purchase our latest album! We had about two dozen customers for our 2015 album ("Realitivity") - and we really do hope we can top that number this year - with our 2016 "Songs in Vacuum" project. Of course, I do understand that Cluesforum readers are not necessarily music lovers (or much less, The Social Service fans!) - but how about making an exception this time, were it only for the sake of solidarity with this forum's very existence and sustainability? If you don't have a Paypal account, please contact me by e-mail (simonshack(AT)libero.it) for alternative money transfer modes. I just went through a sampling of your album and I really enjoyed it. I'm not a huge music fan, but I really like your sound - it puts me in a different place - which is what I need - an enjoyable distraction I also would like to provide you with some financial support because I know its not free to run this forum - monetarily or time-wise. I sent you an email about using another method to purchase the album as I recently closed my PayPal account. simonshack wrote: It is my pleasure to announce the release of my band's 2016 album, "Songs in Vacuum". I like it a lot better than the previous CD. Just bought it. I am loving all the new songs, and it's so cool to hear the final versions of the snippets I heard in development when I was just there last fall. Plus, I feel so honored to be 'in the social service' to a small degree, and I am totally tripping on it. Thank you Simon! And awesome, atmospheric, cool, cool new sounds. Say hi and thanks to the guys for me! Thanks, dear Cluedin, Flabbergasted and Hoi! Glad you all enjoyed the tunes. Six albums sold so far - this is going beyond my wildest expectations! We're heading for the top charts! I guess I'll have to hop on the bandwagon here at our "limited hangout", which I thoroughly enjoy the serenity of. Thanks for your kind words, Fbenario - glad you liked the album! I used to be (still am, I guess) a bit of a Fleetwood Mac fan - yet didn't know about that earlier "Hypnotized" tune / and 'Mystery to me' album. A flattering comparison with my band's sound - although one might say their 'Hypnotized' tune is rather 'breezier / surfier' than our 'Figure Out' track! From now on, please contact me at simonshack(at)libero.it and I will send you any album (or separate tunes) of your choice via jumbo-mail. You can make the payment through the donate button (at the bottom of this page). Thanks! His 1978 album Power In The Darkness was a stunningly powerful album of protest songs that eviscerated British government policy of the time.